Back in 2012, Buddy Wilkins started the Coastal Players Tour. It was mostly for local professionals around the Grand Strand area and was pretty low-budget. Last year, the tour added a new partner from Raleigh, NC – Daniel Davis and also added tournaments outside of the Myrtle Beach golf scene in both Pinehurst and Raleigh. This year will be even bigger and more ambitious. Srixon has signed on as the title sponsor again in 2017 for the second year – they have also secured a few other sponsors to help sweeten the purses and they will now offer guaranteed first place money in the schedule of 20 events that starts the 2017 season on April 1 at Arcadian Shores Golf Club. Regardless of the size of the field the first tournament guarantees a $3000 first place check. The partners believe that having the first place money in place prior to having the first player enter the tournament is a great thing. They hope to draw more players and set the Coastal Players Tour apart from the other tours that are out there. They have also made changes to the tour’s website and will now host a money list from the events and you will be able to enter and pay your tournament fees right online as well. Most events will take place over two days and the players will play 36 holes. 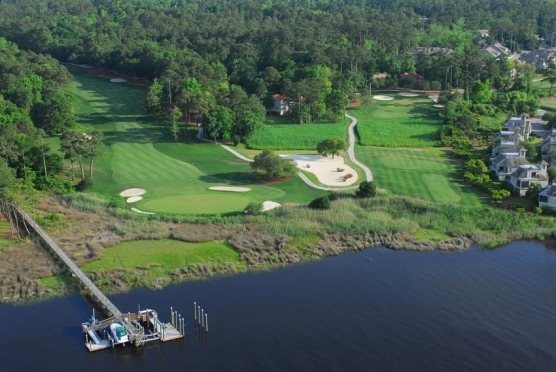 Events in the Myrtle Beach area include the opener and events April 8-9 at River Hills Golf & Country Club, May 13 at Carolina National Golf Club, a major from May 19-21 at Pawleys Plantation, June 10-11 at Wild Wing Plantation, a Stableford scoring event June 24 at International World Tour Golf Links, and July 8-9 at Carolina National Golf Club. In addition to the two day events, they will have a few one day tournaments and 4 tournament majors that will be 3 days with a cut after 36 holes to 60% of the field, including ties. Entry fees are generally $425 for two-day events and $525 for majors, and amateurs can play for reduced rates. The owners said that the fees of the Coastal Players Tour have been set to be half of what other tours are charging, and they payout either the same amount or even more. One more exciting benefit for the tournament players is the ability to buy gear through the partner Davis, at wholesale prices. The tour operators are excited that professionals are using this opportunity groom themselves for some of the bigger tours. Coastal Players Tour has been around long enough now to have some notable alums. Grayson Murray of Raleigh and Arizona State has a pair of top-12 finishes this season on the PGA Tour at the Sanderson Farms Championship in October and CareerBuilder Challenge in January. Former Myrtle Beach resident Roberto Diaz is fifth on the Webcom Tour money list, Jared Wolfe of Louisville is fourth on this season’s PGA Tour LatinoAmerica money list, and Zack Byrd of Murrells Inlet has qualified for the Sunshine Tour in South Africa.